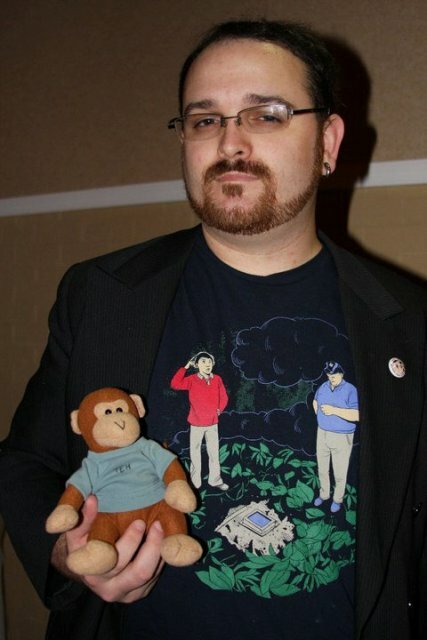 Chris “Crispy” Lloyd knows a thing or two about conventions. He’s been working them for the past 15 years and loving every minute of it! 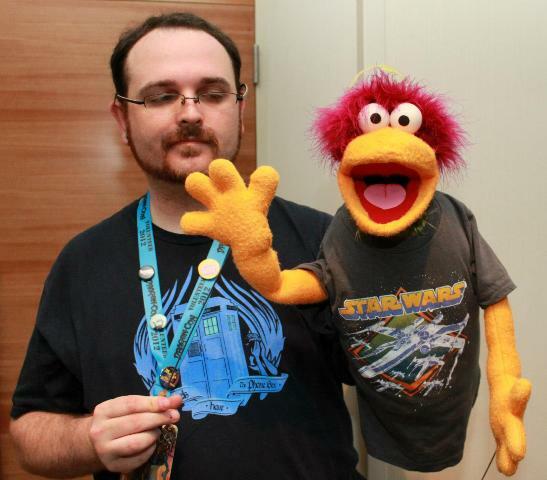 In fact, they’ve kept him so busy, he’s had to cut back the number of cons to work, in order to make time for other hobbies, including puppetry. 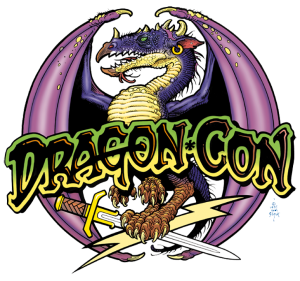 Looking ahead to Dragon Con, Crispy previews the 2013 convention, details the origins of his nickname and gives an exclusive news tip regarding the upcoming show! What’s the story behind your nickname, Crispy? “The fireball happened, admittedly a few seconds late. I jump, screamed, and rolled out of the way. People looked confused but the show went on. I glanced down at my hand, and saw that it was quite burnt. Using my costume, I wrapped my hand so no one else could see and rolled off the stage. From that point on, I quietly worked with our staff to get treatment. I was very relaxed about the whole thing. ‘Hey guys, so I kind of burned my hand. Think we should check it out?’ Meanwhile, certain staff members were diving around looking for our insurance paperwork, which led to me being driven to the hospital. How did you initially get involved with Dragon Con? How long have you been working at Dragon Con? What was your first position with the convention? What is your current role at Dragon Con? Dragon Con 2013 brings some big developments. Are there any new responsibilities for you this year? As a fan, what are you most looking forward to this year? What are you currently geeking out to? You also worked MTAC earlier this year. What were your responsibilities there? Do you work any other conventions? If so, how many per year? 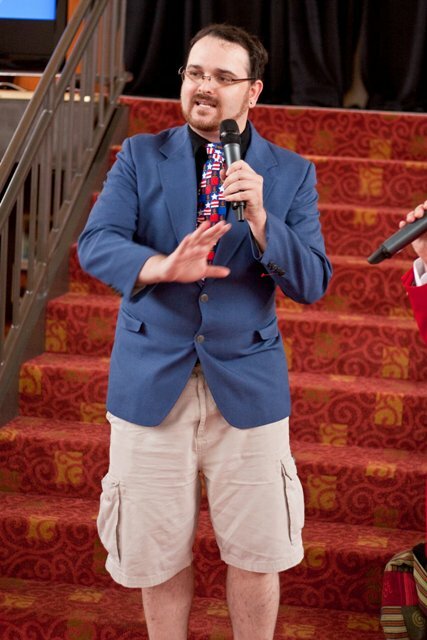 What is your all-time convention highlight? When you’re not working conventions, what are a few of your hobbies? Is there anything else you’d like to mention, that I may not have asked?